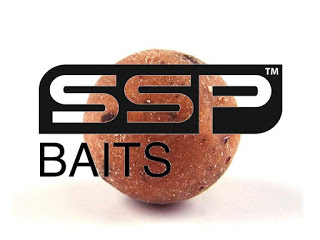 After receiving a selection of the new SSP Baits System-X range to review, I tried the Dark Silt groundbait first and was very impressed, if you didn’t read it first time round you can see it here SSP Baits Review. 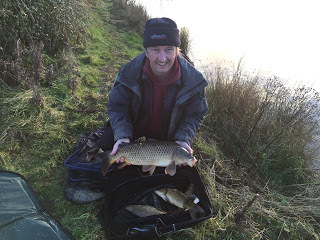 As most of my fishing has been on natural venues for roach, I hadn’t had chance to try the pellets until the first match of 2016 when we were invited to fish a match on a pond that doesn’t get fished very often. What better way to try the new pellets than on a new venue that I’d never fished before? As with the whole System-X range the pellets come in two colours, Beige Gravel and Dark Silt and three sizes 2mm, 4mm and 6mm. I decided to take a selection with me, the lighter 6mm pellets and the darker ones in 2mm and 4mm. I always like to soak some micros the night before so they are nice and soft and the first thing I noticed when I opened the bag of 2mm’s was a lovely nutty smell, I know they say the range contains crushed nuts but it was far more noticeable in the pellets than the groundbait (although that could be down to my dodgy sense of smell!). The second thing I noticed was that the micros looked a little on the large side compared to the micros I normally use, probably nearer 3mm than 2mm. Pellets, pellets and more pellets! I half filled a bait tub and then covered them in water for a minute before draining it off and then adding a decent helping of groundbait which helps to separate the pellets and also gives off a nice cloud when you cup them in. 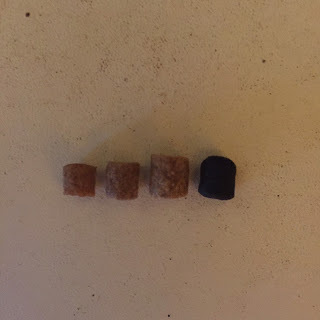 I also opened and had a look at the other pellets, the 4mm’s were fine but when I compared the Beige Gravel 6mm’s to two other popular makes of pellet they looked quite a bit bigger, in fact they also looked slightly bigger than their own Dark Silt 6mm’s which I thought was a bit odd! 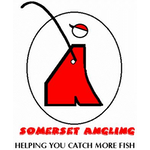 Update – since writing the review I’ve spoken to Mark at SSP who said that the reason the sizes are a little different is because the pellets are their own recipe rather than repackaged and flavoured pellets from the two main manufacturers. As I said in my initial review the packaging is superb and a nice little touch with the pellets is that the bags are resealable. Still on the subject of the packaging, I couldn’t see a description of the product on the bag which to be fair isn’t an issue in most cases as you can see what you’re buying but could lead to confusion between the groundbait and stick mix for example. It’s only a tiny gripe but if they intend to expand the range I think they would need to address this. I’m also a little surprised that 8mm pellets aren’t included in the range as they are probably one of the most used and popular sizes of pellet and I think it would be a big seller for SSP. All very minor issues and I should imagine easily rectified and as with any new company there are bound to be a few teething problems. 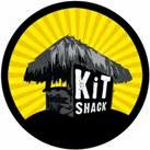 Update – Regarding the packaging Mark said that all the bags have stickers on denoting the product and size, the samples sent to me didn’t because they were from the very first batch, so that clears that up – thanks Mark! The day of the match arrived and so did the wind and rain! I loaded my kit up and had a look at the 2mm pellets that I’d soaked the night before and put in the fridge, they had softened up nicely and had swelled up quite a bit as well. We all met up for a nice breakfast before heading to a very windswept venue. I won’t go into a blow by blow account of the match (which can be found here – http://www.againstmenandfish.com/2016/01/hebditchs-pond-3rd-january-2016.html/) but I got it all wrong for the first half of the match when I tried to catch short but the fish were obviously happier in the deeper water. The cold wind also put paid to any chance of catching shallow so the 6mm pellets stayed in the carryall. I eventually got my head sorted, started a new line at ten metres and cupped in some soaked 2mm pellets and corn before fishing over it with corn and double maggot hook baits. 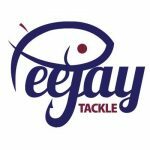 I caught well for the second half of the match by feeding a few 2mm’s plus a pinch of maggots via a toss pot every put in to finish up with 12 carp for 31lb 15oz and given that 51lb was enough for third place, the wasted first half of the match was costly! So up to now I’ve only really tried out the Dark Silt groundbait and 2mm pellets, both of which I’ve been very impressed with, although I can’t wait to try out the lighter Beige Gravel pellets and groundbait when it warms up a bit and when I do, you’ll be able to find the review right here! 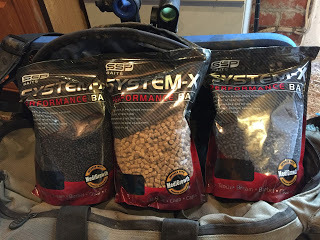 I’m also looking forward to taking some the SSP Baits System-X boilies to Thailand with me on my next trip as I reckon those Giant Siamese Carp will love ’em!